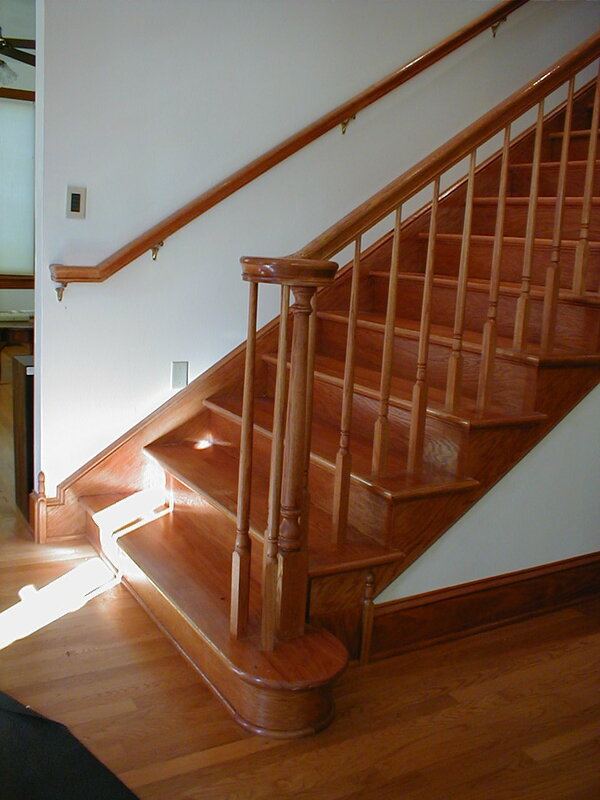 Design and/or construction of staircases is another specialty of Robert Phillips. 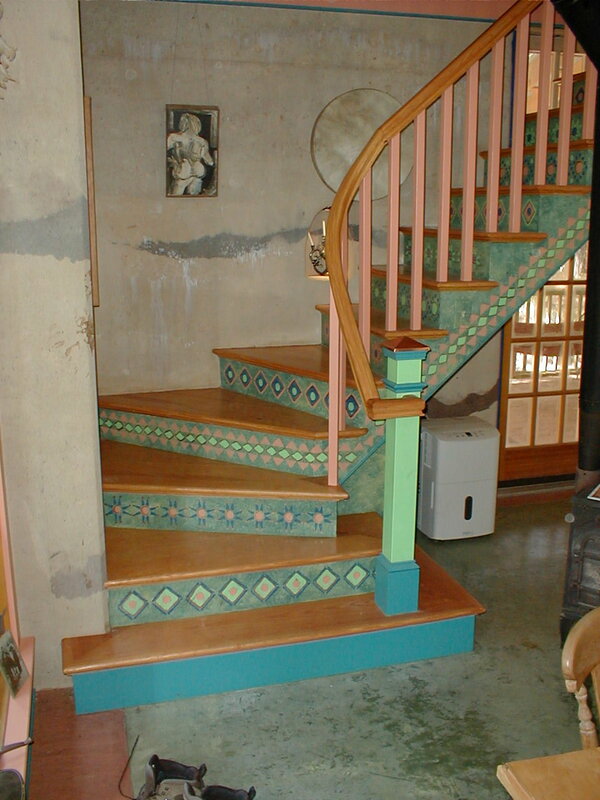 Some of the staircases he has constructed are illustrated on this page. 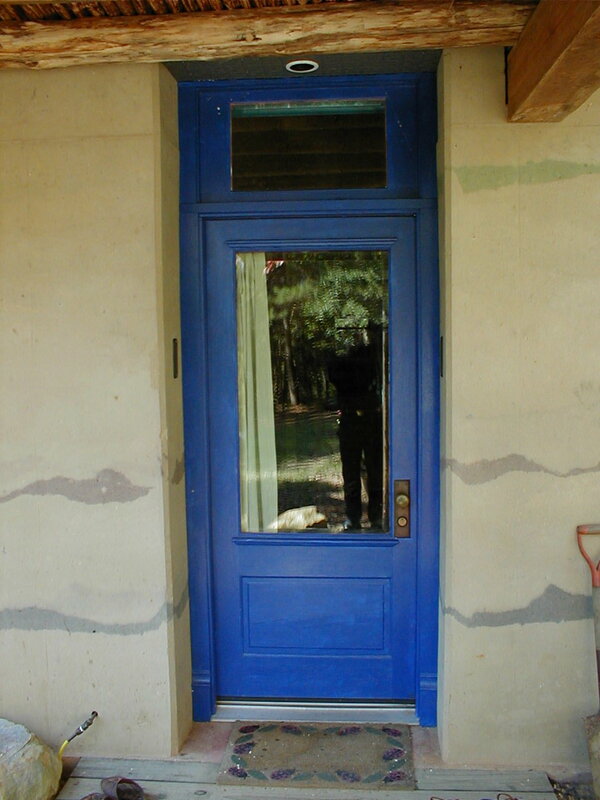 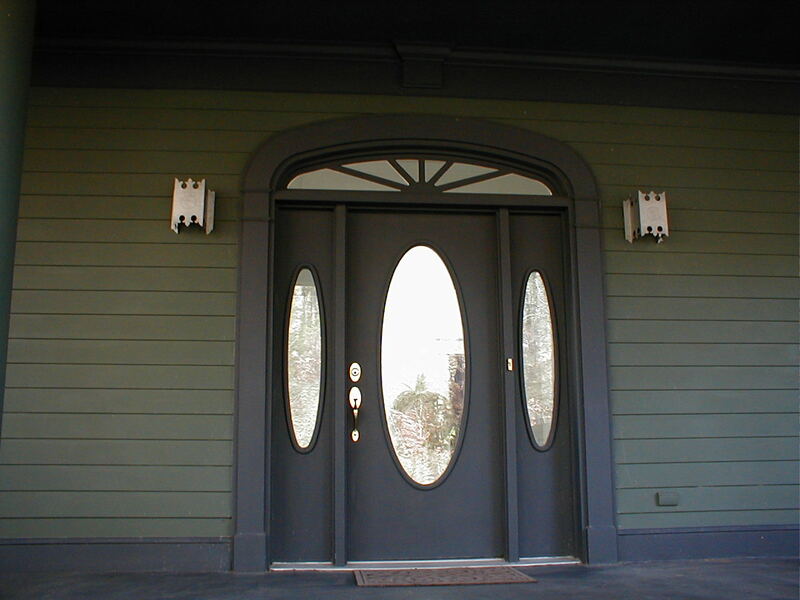 Robert also installs and trims many different types of doors. 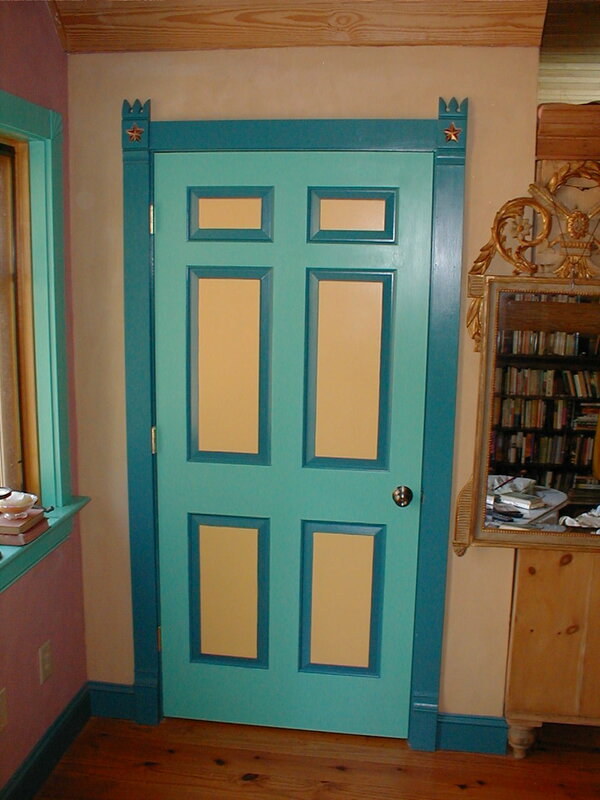 A few examples are included on this page. 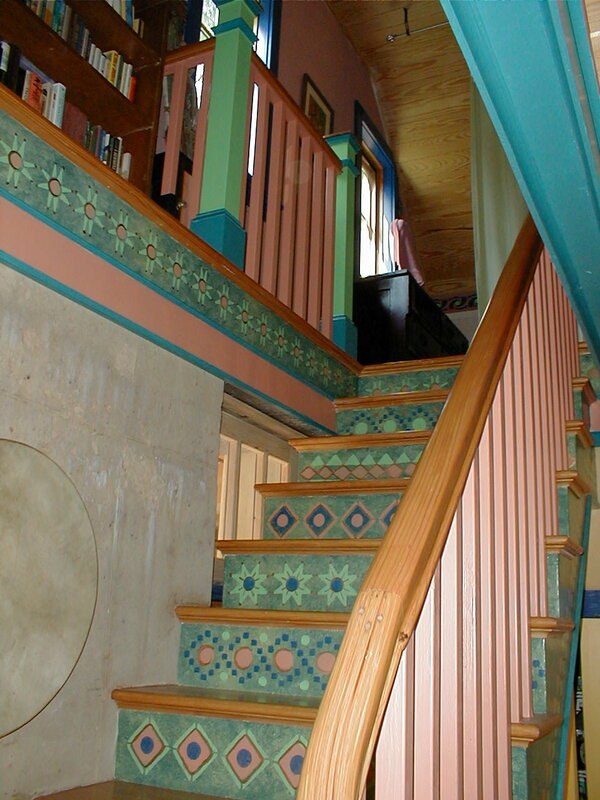 The colorful staircases (and doors) pictured below were designed for local home under construction with a southwestern eclectic motif. 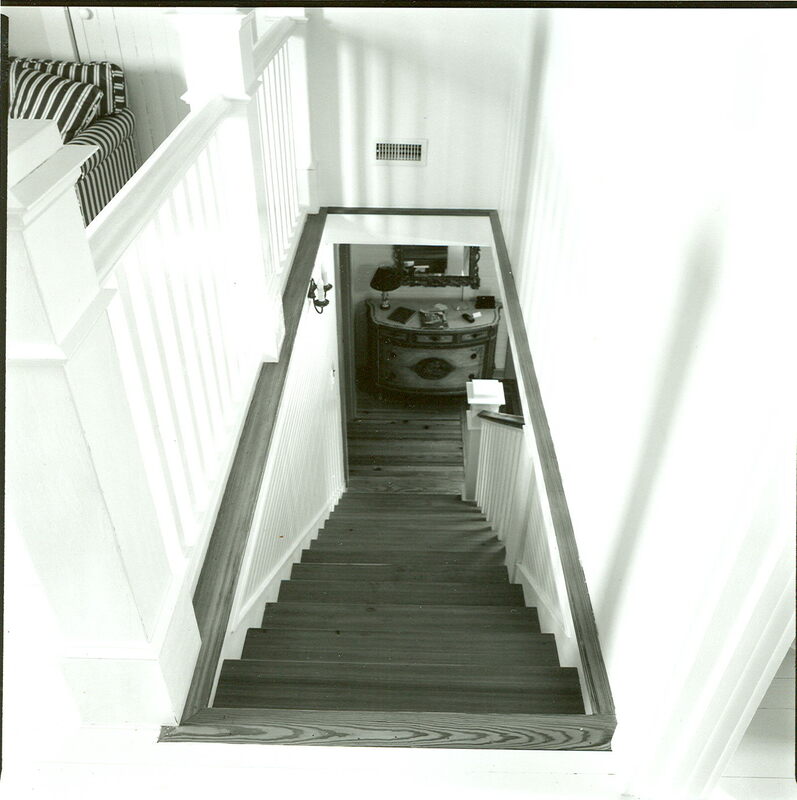 The staircase had to be specially designed to fit into a very tight space, and Robert had to construct all parts of the staircase on-site. 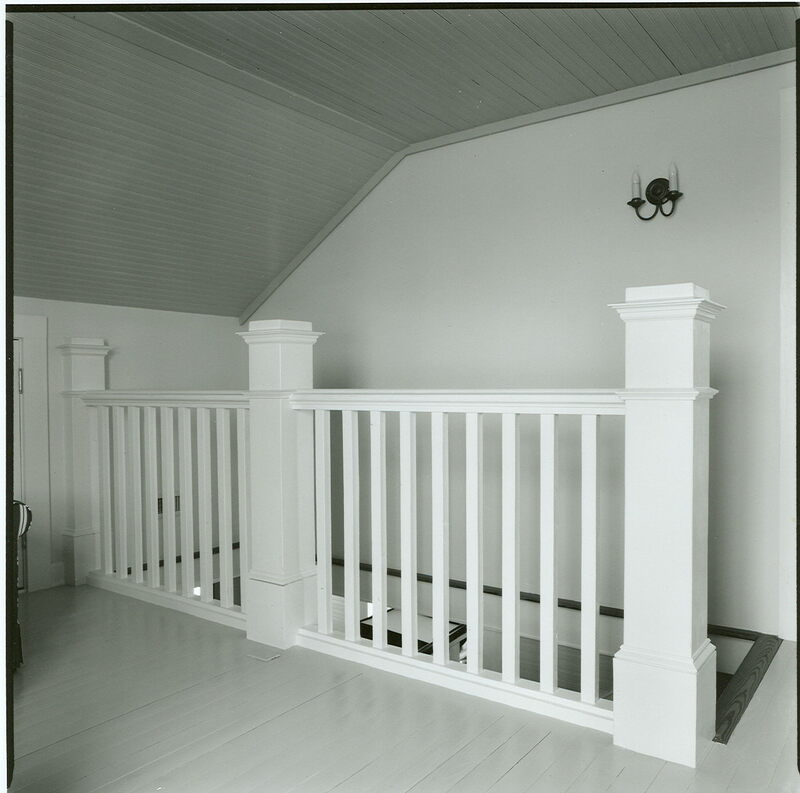 The laminated curved railing was constructed to carry the ballisters and a winder-treads landing was used to fit the space requirements. 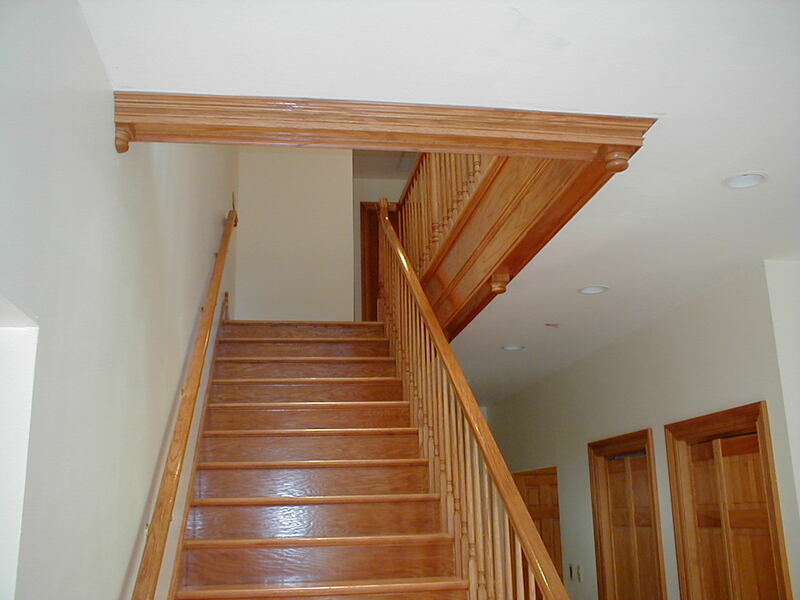 Robert designed and constructed this "rail over post" staircase composed of red oak stair parts. 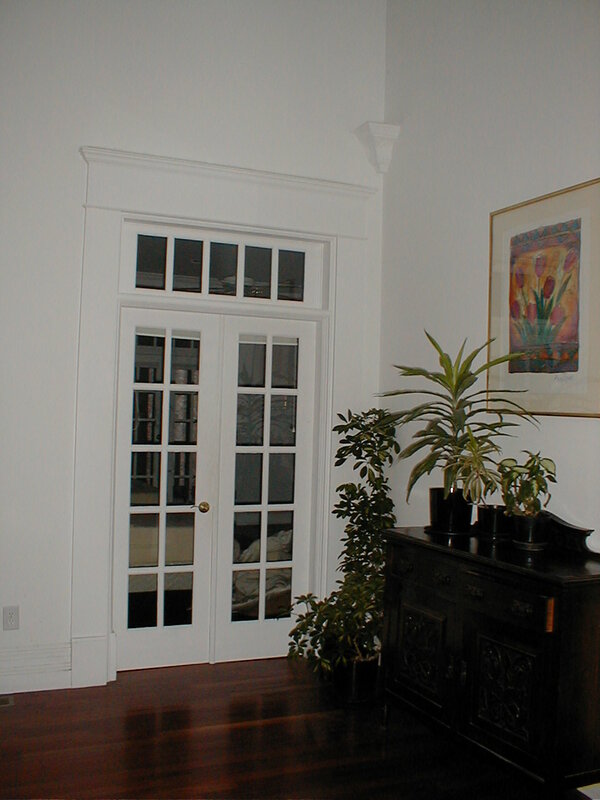 The red oak stringer on the wall was "housed," that is routed so that the tread and riser are recessed into the stringer. 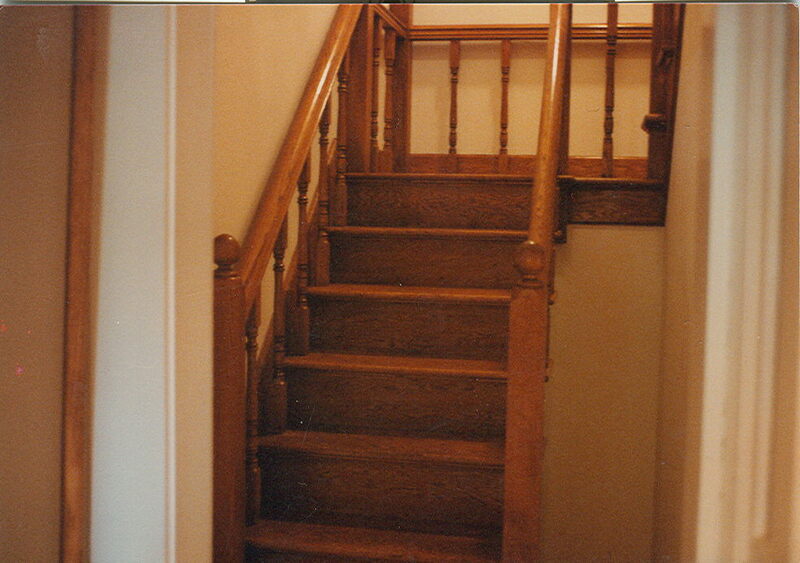 Note the "specie" transition blocks marking the transition from the red oak stairs to the pine baseboard. 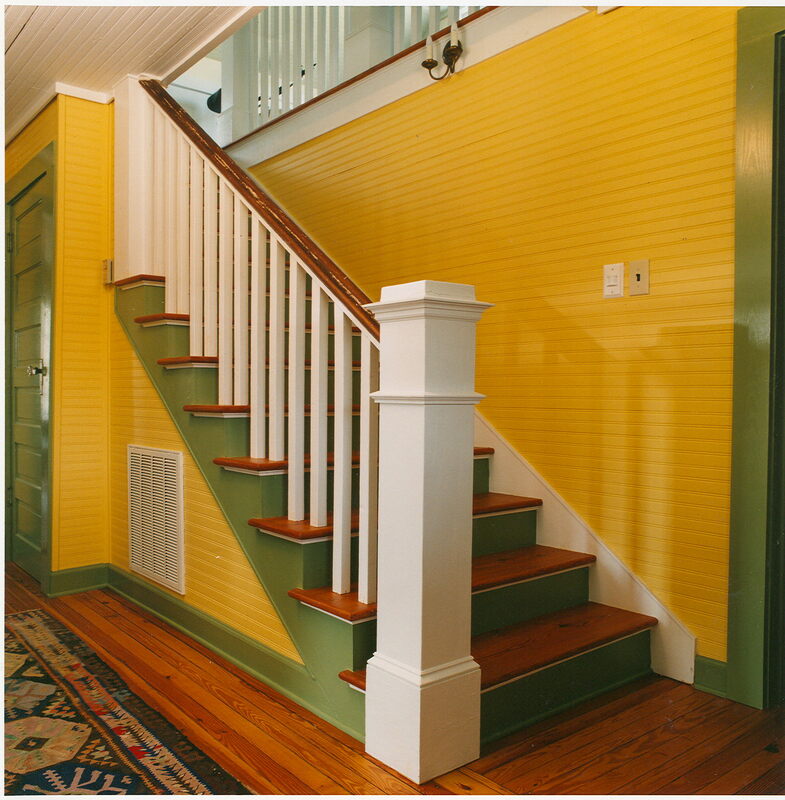 Robert provided finish carpentry work for this rural structure being remodeled in a North Carolina farmhouse vernacular style. 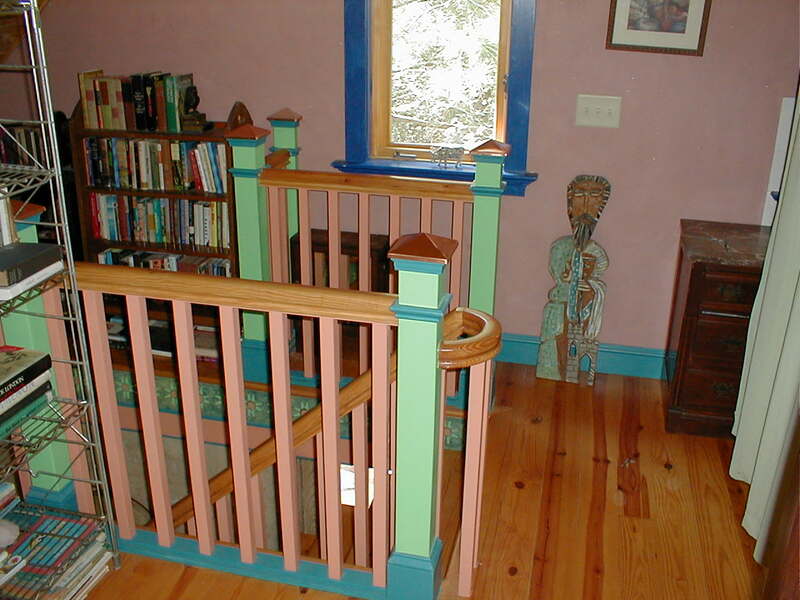 He designed and built the newel post and staircase for this project. 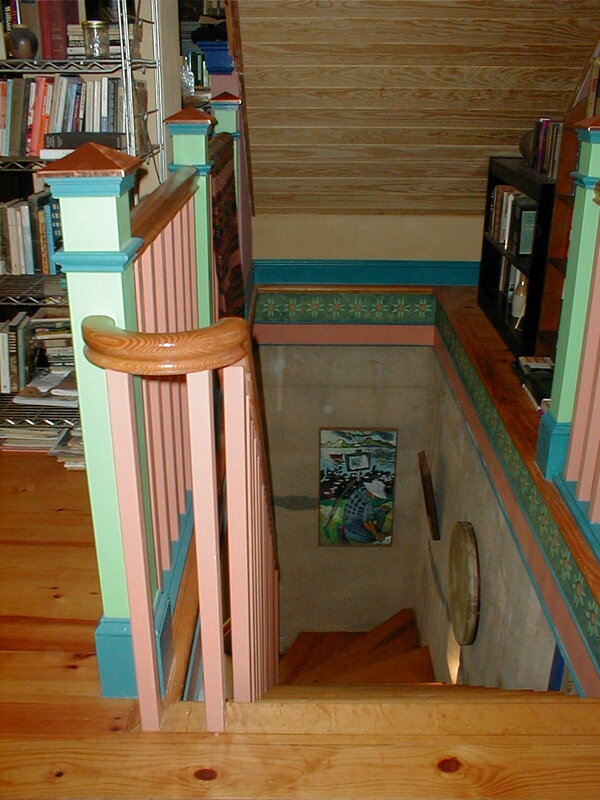 Robert designed and built this staircase within a constricted space to add a second-floor to a 1907 historic home originally built in the "Shingle Style."